NEW RIVER – Residents of New River and Desert Hills should have a new water source by the end of July. It’ll cap a long year of worry. A brief recap: Last summer, Phoenix announced it would cut off sales to companies that truck water to New River and Desert Hills, which are unincorporated. After a flurry of negotiations and a couple of delays to the cutoff, haulers are expected have a new place to fill up: a station built by the utility EPCOR, which hopes to have it in use by July 20. But residents want the station, essentially a large tap into the EPCOR water supply, to work as more than a water source. They hope it puts a brake on overdevelopment, which they contend is at the root of the water problem. During a meeting of the Anthem Community Council Board last fall, New River resident Ron Bentley stood to make a request. Census numbers say New River’s population increased about 40 percent from 2000 to 2010, and the latest five-year American Community Survey puts the total at 15,305. People who had working wells a few years ago now have to truck in water because more residents are tapping the groundwater, residents said. They worried that a new water source simply would enable the growth. 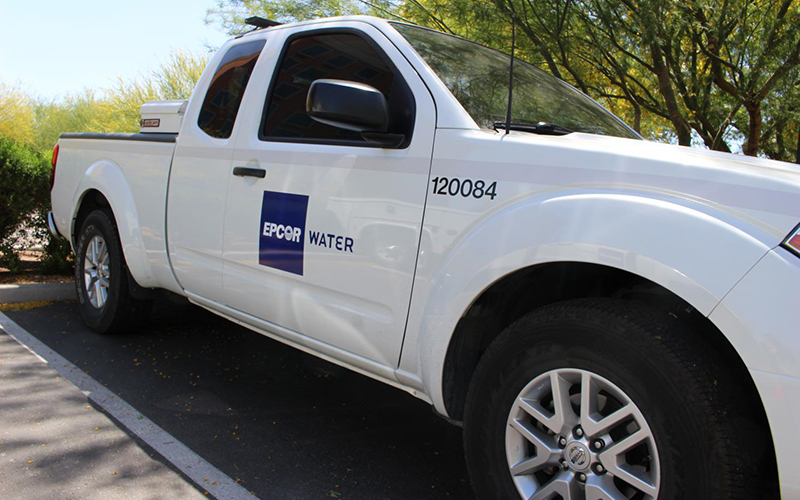 EPCOR warrants that it shall instruct its customers using the Water Hauling Facility that, as a condition to their continued ability to use the Water Hauling Facility, they may only deliver water derived from the Water Hauling Facility to residential dwellings within Desert Hills or New River that were constructed before January 1, 2018. Any houses built after that date would have to get their water trucked in from farther away. But is this provision legal? “I don’t know that this is legally problematic so much as it is practically difficult to enforce,” said Susan Demmitt, a land use attorney at Gammage & Burnham. Troy Day, a vice president at EPCOR, said utility officials will include the rule in the contracts haulers must sign to use the station. EPCOR water drawn from the new station is not allowed to be delivered to new homes. “And if they’re caught doing it, we can make them not be customers anymore,” Day said. Haulers like Brad Phelps of Crystal Creek Water, meanwhile, see a messy situation. “I’m going to have Customer A right here with a brand new home after January, and Customer B next door, and they’re going to be paying a hundred dollars difference between the two very same loads,” he said. The difference in price is due to transportation costs. If the new station is off-limits to new homes, trucks will have to fill up in Carefree or Peoria for a delivery to a single house. That’s a lot of extra fuel and worker time. Phelps said he’s in the business of getting water to people, not making it more difficult. That doesn’t concern Bentley and other residents. Months after the water crisis began, many remain frustrated that housing development continues largely unabated. 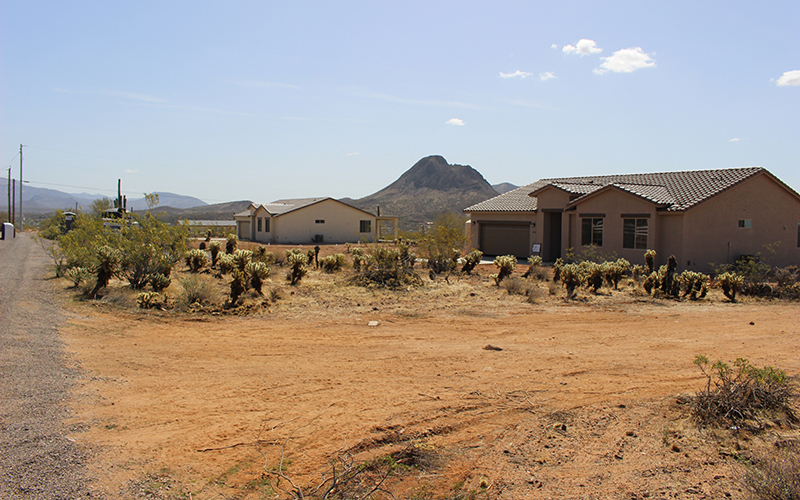 Restricting the water to existing homes only is a way for New River and Desert Hills residents to make their neighborhoods less attractive to builders and buyers looking to move in. On his back patio, Bentley pointed to a home going up next door. “If I see them hauling water to that house after the EPCOR station is set up, then I’ll be on the phone to Troy Day,” he promised. Day said residents should report violations and send documentation. “All the residents are pretty diligent out there, and if they see water haulers getting water from our station and going to a new house, I think there’s plenty of people out there who are willing to tell us about that,” he said. The station is for current residents with water problems, Day said. Subscribe to the Cronkite News podcast In Focus on iTunes.